Elective single embryo transfer (eSET) is when you have more than one good quality embryo during IVF treatment but choose to transfer just one to the uterus. Any remaining embryos can be cryopreserved, later thawed, and transferred in follow-up cycles. In good prognosis patients, eSET can reduce the risk of a multiple pregnancy while not significantly reducing the odds of successful treatment. However, deciding on single embryo transfer is not easy. IVF treatment is expensive. Transferring fewer embryos could lead to concerns that the cycle may not work, which can mean more cycles, more debt, and further fear of failure. It can also be tempting to hope to conceive twins, possibly “completing” your family in one cycle. Single embryo transfer isn’t right for every patient. For those that are candidates, there are very good reasons to consider it seriously. The CDC and American Society for Reproductive Medicine (ASRM) hope you will. Here’s why. The goal of fertility treatment is one healthy baby, one at a time. This is the best outcome for the mother and child. You might assume that means only one embryo should be transferred every cycle, no matter what the situation, but it’s not so simple. Just because you have an embryo, that doesn’t mean you’ll get a pregnancy. This is especially true when the embryos aren’t “high quality” and in women who are 37 years old or older. While transferring a higher number of embryos did result in better pregnancy rates, it also led to triplet and even higher order multiple pregnancies when some or all the embryos transferred “took.” As technology improved, it became possible to transfer “only” two embryos in good prognosis patients and still get decent pregnancy rates. Known as double embryo transfer (DET), this became the most common option selected by doctors and patients. Still, double embryo transfer meant the odds of conceiving twins was high, especially for those who had a good chance of success. IVF patients are 20 times more likely to conceive twins than the general population. In the past decade, IVF has come along even further in its success and ability to select good quality embryos. This has led to a push to encourage single embryo transfer. There remain situations when transferring two, three, and even four embryos is a reasonable choice. For women over age 40 with poorer quality embryos, this is especially true. But this decision should not be made lightly. Are You a Good Candidate for eSET? When appropriate, the American Society for Reproductive Medicine encourages doctors and patients to choose single embryo transfer. They have developed research-based guidelines to help fertility specialists decide when it’s the right option. Your cycle produces more than one good quality embryo. Of course, if you only get one embryo to transfer, it wouldn’t be elective single embryo transfer. You’d only have one to transfer. However, in this case, what they mean is that more than one high quality embryo resulted during the fertilization process of IVF. Getting more than one high quality embryo is a sign your overall prognosis is good. It also means that you should have one or more embryos to cryopreserve (or freeze). These cryopreserved embryos can be thawed and transferred during a subsequent cycle, either the very next one (if pregnancy doesn’t happen this time) or in the future (when trying for an additional child). You’re age 35 or younger. IVF success rates are higher for women age 35 or younger, generally speaking. Of course, depending on the cause for infertility, this isn’t always the case. Your doctor can give you more guidance on whether your situation is different. You are using donor eggs. Donor egg IVF offers the very best live birth outcomes for treatment. This is because egg donors are carefully selected. Egg donor IVF has a better chance of leading to pregnancy than the very best prognosis of a typical IVF patient using her own eggs. You have one or more euploid embryos, no matter how old you are. A euploid embryo has a normal number of chromosomes. A healthy egg and healthy sperm each contribute 23 chromosomes, resulting in a total of 46 chromosomes (if cell division goes smoothly.) Implantation and live birth rates are higher for euploid embryos. An embryo with an abnormal number of chromosomes is called aneuploidy. Miscarriage is more likely to occur when an embryo is aneuploidy. Downs syndrome caused by an abnormal number of chromosomes. Women over age 37 are less likely to have IVF success, but this is primarily due to chromosomal irregularities. However, through screening, if a woman over age 37 is found to have euploid embryos, the prognosis for success is higher. Single embryo transfer is a viable option, even though their age might have otherwise disqualified them. For a long time, determining which embryos were high quality was primarily done by looking at the morphology of the developing embryo in the lab. This method has its flaws. An embryo can look great under the microscope but still be chromosomally abnormal. It is also possible for an embryo to look “less than perfect” and be chromosomally fine. This is still the primary method of determining which embryos are high quality and which aren’t. It is included with basic IVF treatment. However, a more accurate method of choosing high quality embryos is with Comprehensive Chromosome Screening, or CCS. This is a genetic screening technology that allows the technician to count the total chromosomes (and determine if the embryo is euploid). CSS can also tell you the genetic gender of the embryo. CSS is not as comprehensive as preimplantation genetic diagnosis/screening (PGD/PGS), but for this purpose, it doesn’t have to be. CCS isn’t available at every fertility clinic. Also, it does mean added cost to your overall IVF treatment. That said, CSS tested embryos are more likely to lead to a pregnancy, less likely to end in miscarriage, and can help you choose single embryo transfer with more confidence. CSS testing has risks and isn’t right for everyone. This is something to discuss with your doctor. Are You Less Likely to Get Pregnant With eSET? This is the million-dollar question. The answer is, it’s complicated… but promising. If you compare one elective single embryo transfer cycle to one double embryo transfer cycle, the clinical pregnancy rates are higher for the double embryo transfer cycle. However, it’s an unfair comparison. A more appropriate comparison is to compare the pregnancy rates for one double embryo transfer cycle to two single embryo transfer cycles. In other words, with the single embryo transfer cycles, one would be a fresh cycle and, if that didn’t result in pregnancy, a second eSET would be done using a cryopreserved embryo from the previous fresh cycle. When pregnancy rates are compared like this, the results are very different. In a meta-analysis of 14 studies, which included just over 2,000 women, researchers found that double embryo transfer success rates were not significantly different from elective single embryo transfer rates when you looked at two to three single embryo cycles collectively. The study found that if the odds of a live birth were 40 percent with double embryo transfer, it would be between 30 and 42 percent with repeated single embryo transfer. Researchers also found that those who had double embryo transfer were 15 percent likely to have a multiple pregnancy, compared to between 1 and 4 percent odds with single embryo transfer. These studies, however, judged quality embryos based on morphology. What happens when CSS genetic screening is used? The odds for success look even better. They found that success rates were not significantly different. They also found that the risk of multiple birth was dramatically lower (0 percent compared to 48 percent) with the CSS screened single embryo transfers, and the risks of complications like preterm delivery, low birth weight, and time in the NICU were significantly different. The single embryo transfer babies were half as likely to be born too early, a third less likely to be low-birth weight, and a little more than half as likely to spend time in the intensive care unit at birth. But Wouldn’t Twins Be Better Than Just 1 Baby? When asked by their doctors if they would be willing to consider single embryo transfer, in order to avoid conceiving twins, many couples question why they wouldn’t want twins as their primary choice. After years of trying to conceive, and the financial burden of testing and treatments, hoping to get two babies in one try sounds perfect. But it’s not. Twins come with risks to the mother and unborn babies. Having one baby at a time is the best option. What About the Cost of Fertility Treatments? Another reason couples dealing with infertility may be hesitant to choose single embryo transfer is the cost of fertility treatments. In countries where IVF is covered by health insurance, the rate of elective single embryo transfers is significantly higher. The cost of one single embryo transfer and a second cycle with a thawed, cryopreserved embryo is not the same as two, full IVF cycles. The embryo-transfer-only cycle is much cheaper. Even if you save money on additional IVF cycles, twins can be expensive. You may not save money in the long term. Some clinics offer financial incentives to encourage couples to choose elective single embryo transfer, including refund programs and discounts. Ask your clinic what they can do for you. Single embryo transfer with CSS screening is pricey, but you’re less likely to miscarry and more likely to have a healthy pregnancy and birth. The decision to choose elective single embryo transfer should be made along with your doctor’s input, and take into account your particular health, financial, and fertility situation. Some of the information needed to decide won’t be available until mid-IVF cycle, after the egg retrieval and fertilization process. Until your clinic has verified that you have healthy embryos worthy of single embryo transfer, you can’t really know if it’s right for you. There’s no “wrong” decision here. Twins can be a wonderful outcome. While there are risks, risks are not a guarantee. In fact, IVF conceived twins are less risk-prone to complications than naturally conceived twins, possibly because of the extra medical attention given to IVF-conceived pregnancies. However, making this decision quickly isn’t recommended. Discuss the possibility of elective single embryo transfer with your partner and doctor before your IVF cycle begins. This way, you won’t be forced to decide when the pressure is intense and you’re under the stress of fertility treatments. Elective Single-Embryo Transfer. Practice Committee of the Society for Assisted Reproductive Technologies and Practice Committee of the American Society for Reproductive Medicine. Forman, Eric J.; Scott Jr., Richard T. “Euploid Single-Embryo Transfer: The New IVF Paradigm?” Contemporary OB/GYN. July 1, 2014. Kuohung, Wendy; Ginsburg, Elizabeth S; Racowsky, Catherine. “Strategies to control the rate of high order multiple gestation.” UptoDate.com. Pandian Z1, Marjoribanks J, Ozturk O, Serour G, Bhattacharya S. “Number of embryos for transfer following in vitro fertilisation or intra-cytoplasmic sperm injection.” Cochrane Database Syst Rev. 2013 Jul 29;(7):CD003416. doi: 10.1002/14651858.CD003416.pub4. Practice Committee of the American Society for Reproductive Medicine; Practice Committee of the Society for Assisted Reproductive Technology. “Guidance on the limits to the number of embryos to transfer: a committee opinion.” Fertil Steril. 2017 Apr;107(4):901-903. doi: 10.1016/j.fertnstert.2017.02.107. Epub 2017 Mar 11. Single Embryo Transfer. 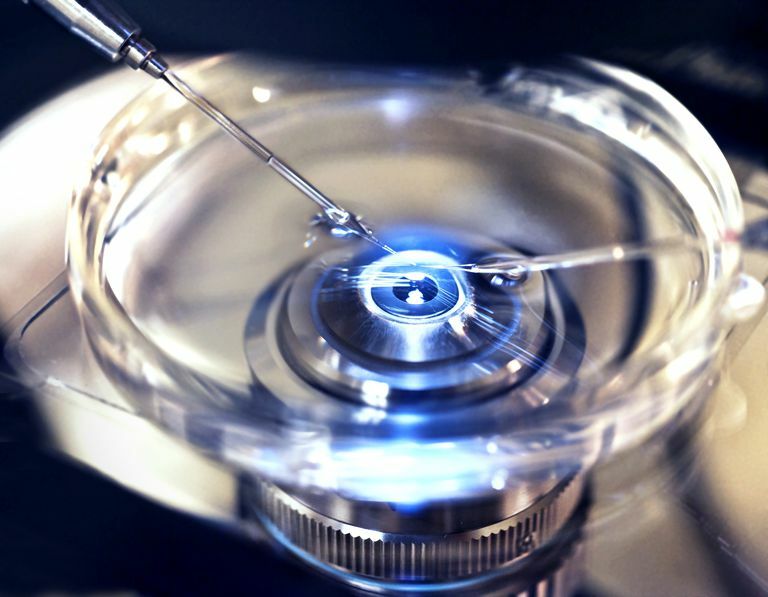 Assisted Reproductive Technology. Center for Disease Control.